Contains one each of 'L', 'M', 'S' and 'VS' in a bone, off-white colour. 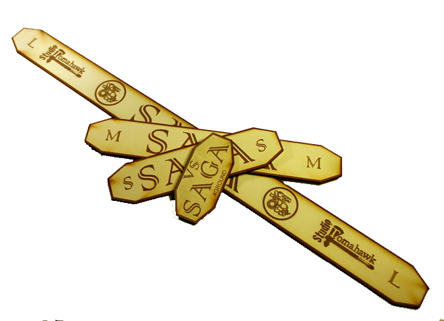 These sticks are laser cut and painted so they can vary slightly in finish. If desired, a 'cleaner' looking stick can be achieved by carefully wiping the stick with a damp cloth, Make sure you dry them with a tissue or peice of kitchen roll.